Preseason rankings are finally just a memory, there are 8 ‘real’ games now to be studied and compared. As said, Enegan Firenze won one of week1 key matches against Bawer Matera. Moncada Agrigento vs Assigeco Casalpusterlengo was the other one. The home team won a close game 77-70 with a total team effort: 9 players scored and 4 of the starting five reached double digit. For Casalpusterlengo, the two extra-EU players (former Maryland guard Logan Aronhalt and Cuban Sant Roos) together with Chiumenti, combined for 52 of the team’s 70 points. Arcanthea Lucca, highly ranked and Enegan’s preseason acquaintance, lost a crushing one in Ferrara (75-73). After recovering from a large deficit, they couldn’t seal the come back as Parente missed the game-winning shot at the buzzer. BNB Corato and Stings Mantova cruised through their games winning by 23 (90-67 vs Viola Reggio Calabria) and 40 (58-98 at Cus Bari) respectively. 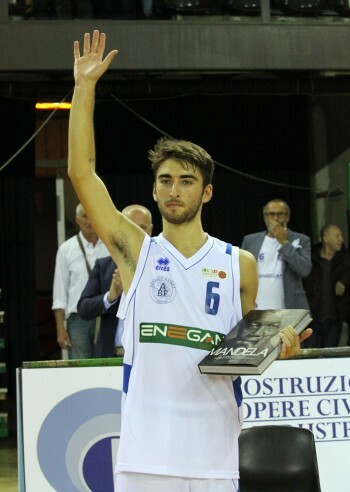 Remer Treviglio, Enegan’s next opponent, won a close game (65-67) in Ravenna.